For the definitive independent holiday with the freedom to explore and discover we highly recommend The Crane Resort in Barbados. Independent travelers and mavericks will love the remote location of this holiday resort, far away from the crowds, on a clifftop overlooking a stunning beach. 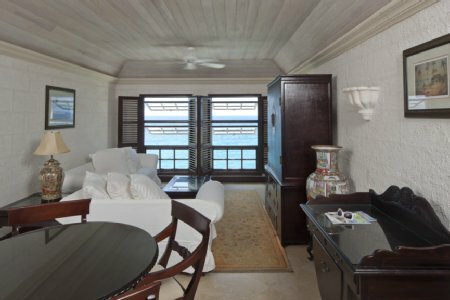 The resort seamlessly blends modern conveniences with old world charm as one of Barbados’ oldest hotels. The accommodation is elegant and spacious with large four poster beds. The fully equipped kitchen allows you to cook in your suite, which is a very convenient option for times when you want to avoid crowded restaurants. The resort is set among magnificent tropical gardens that complement the turquoise ocean waters. The incredible beach is the best spot to enjoy a refreshing coconut and have a dip in the sea. Unlike the west and south coasts of the island which are teeming with visitors, this south-eastern part of the island is more rustic yet refined. There are no annoying jet skis or beach-goers jostling for a lounge chair. But it’s far from boring at The Crane – sea bathing, boogie boarding and cliff diving are favourite activities at the beach, plus the resorts has 5 outdoor pools, 5 restaurants and a lovely spa. Other beaches and bays and historic sites are just a short drive away. Are you ready for an incredible holiday at The Crane Resort?